That’s right, a vegetarian recipe, courtesy of a friend who shall remain nameless for now because she is super sekritive like that. Anyway, I’d just bought bell peppers and fresh basil at the farmers market that week and was wondering what to do with them, when she said, “Roast ’em and turn them into soup!” I usually ignore this friend because she likes to link me things like My Imaginary Well-Dressed Toddler, but this time, I chose to listen. . . and boy, was I glad I did! 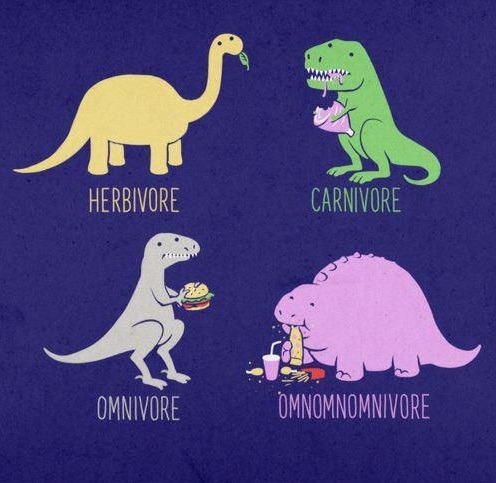 Even Mike, he who is an omnomnivore (see below), was won over. 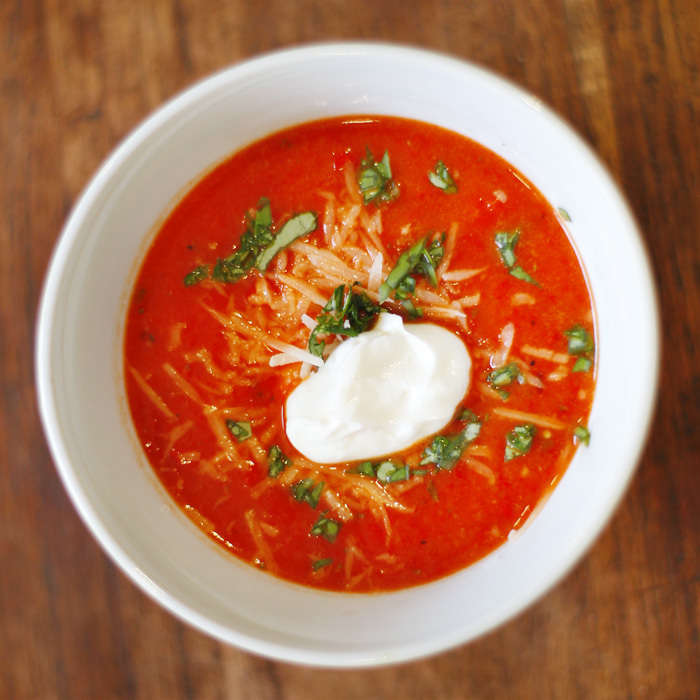 It tastes great warm, hot, or at room temperature, and is perfect for any season. 1. Toss all of the soup ingredients except the milk in a pan. Drizzle with a bit of olive oil and season well. Put into a 150 deg C / 300 F oven for about 40 to 45 min or until the veg is soft. 2. 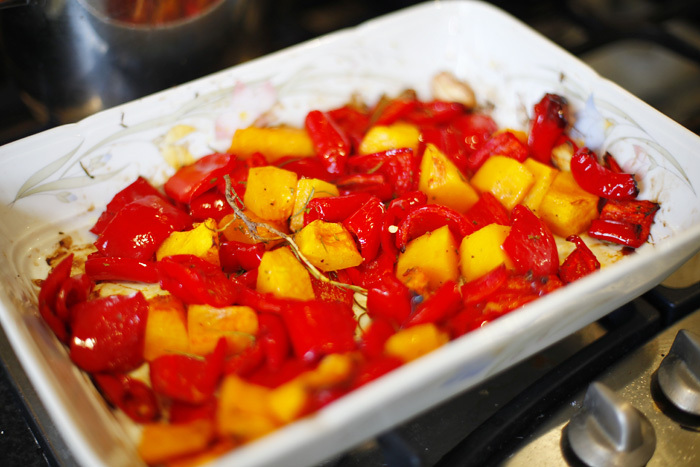 When the peppers and squash are all soft and easily pokable, take them out and put them in a blender. Blend, adding enough milk to make it as thick or thin as you want. 3. 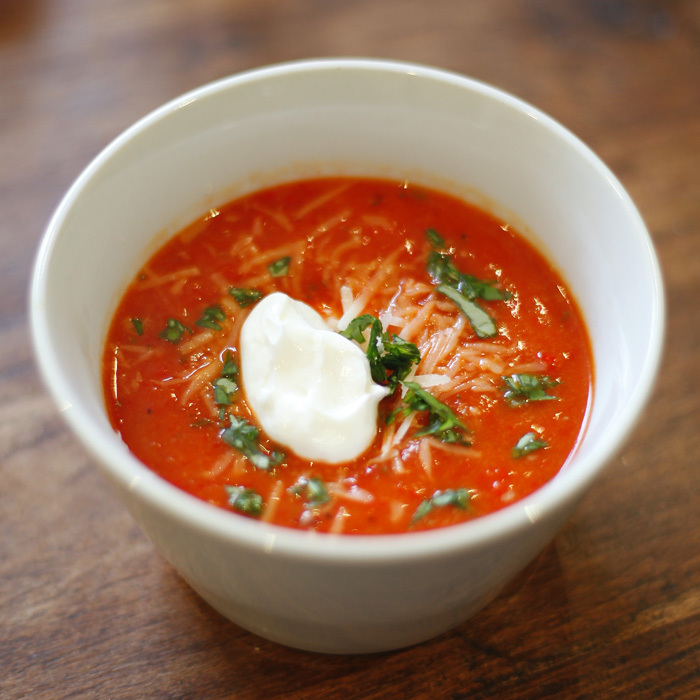 Serve with a plop of Greek yogurt and a sprinkling of cheese and basil. SO a keeper. The rosemary and garlic really come through, in a non-obnoxious way. I can’t wait to try this with other veg.